Just over 15 years ago, a small group of thoughtful individuals committed to Des Moines University and its students embraced two big challenges: They wanted to correct the under-representation of minorities in health care, and they wanted to help meet the need for health care providers who are prepared to serve patients in our increasingly diverse society. 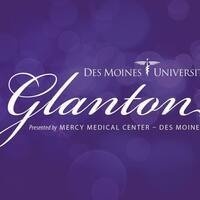 Join us again as part of our dedicated group of Glanton donors. Help us continue to fuel the positive ripple effect that a small group of individuals began 15 years ago and that you and other Glanton supporters have multiplied. You will change the world by changing the lives of our students and the patients they'll go on to serve.